WIT Arena Spin classes will bring you on a high intensity cycling journey, ranging from hill climbs to sprints and everything in between. 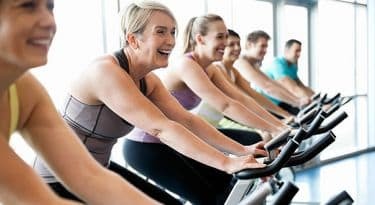 Indoor cycling classes are a great way to burn fat and increase your overall fitness. This class is high intensity cardiovascular in nature but can be adapted for all fitness levels. So whether you are a beginner or advanced cyclist we can cater for your needs.